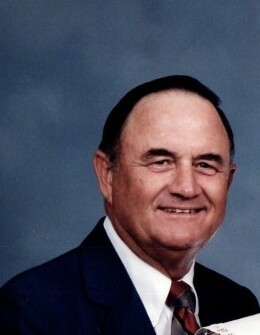 H. G. Ritchie, Jr., age 87, passed away on January 18, 2019. Born to Henry Gorman Ritchie and Edna K. Ritchie on July 7, 1931, Gorman (aka “Buck”) graduated from Taft High School in 1949. He then attended The University of Texas, obtaining a BBA in General Business and his Doctor of Jurisprudence from The University of Texas School of Law. While attending The University of Texas, Gorman was a member of the Gamma Iota Chapter of Delta Tau Delta Fraternity, where he began a lifetime of friendships with such men as Howell M. Finch, Wendell Strahan, Charles Cusenbary, Rush Moody, Bob Bledsoe and Charles Tighe. A member of the freshman baseball team, Gorman might have gone on to play varsity baseball for the Texas Longhorns but for injuring his right shoulder during an intramural football game. On September 4, 1954, Gorman married Marietta Beard, also of Taft, and they traveled to Mexico for their honeymoon. Upon graduation from law school and passing the Texas Bar Exam, Gorman entered military service and proudly served in the 32nd Tank Battalion of the 3rd Armored Division (Patton’s Armored Division). While stationed in Friedberg, Germany, Gorman and Marietta traveled throughout Europe, on one occasion accompanied by his parents. Hard of hearing, his father only talked louder and louder while talking to the Italians in his best Spanish, angered at their inability to communicate. Following his Honorable Discharge in 1957, Gorman and Marietta made their home in Taft, where Gorman practiced law and helped with the family’s businesses. In August of 1959 at the age of 28, Gorman lost his father in an automobile accident, when a drunk driver crossed over into the south-bound lane of IH 35 just north of Cotulla, Texas, and collided with him. With farming operations in Taft and a ranch in Cotulla to run, Gorman was blessed with the opportunity to hire Karl Mount as his foreman, and he and Karl worked together closely for almost 50 years. Karl and his wife Shirley, and their daughters Karla and Patricia, will always hold a special place in the hearts of the Ritchie family. Farmer, rancher, attorney, airplane pilot, cotton ginner (Taft Gin & Seed Company), inventor, peanut grower, Rotarian, bank director (First National Bank of Taft), fish farm operator, senior league baseball coach, city councilman, Mayor, and lifetime Longhorn, Gorman wore many hats – typically Stetsons. When confronted about his heavy foot on the gas pedal, Gorman often said that if he had decided to become a race car driver the racing world would have never heard of Richard Petty. But above all, Gorman was a loving husband, father, grandfather and Christian, serving for decades as one of the elders at the Church of Christ in Portland, Texas. Gorman and Marietta were married for 57 years, their marriage ending with Marietta’s death on September 5, 2011. They were blessed with three children: Wesley Gorman Ritchie, Amy Lynn Ritchie Allen, and Andrew Mabry Ritchie. Preceding Gorman in death were his parents, his sister, Dorothy Lou Ritchie Waldron, his son Andrew M. Ritchie, and his son-in-law, Dr. Monte D. Allen. Gorman is survived by son Wesley and his wife Kimberly, daughter Amy, and eleven grandchildren: Jacelyn Ellis Ritchie, Wesley Gorman Ritchie, Jr., Allison Claire Ritchie Sims (husband Aaron), Kathryn Kendall Ritchie, Katy Lynn Allen, Travis Ritchie Allen, Austin Mabry Allen, Audrey Ellen Ritchie, Andrew Buck Ritchie, Major Lee Ritchie, and Elise Mae Ritchie. He is also survived by a cousin, Harriett Emerson of Powell, Texas; numerous nieces and nephews; and a host of friends. Everyone is welcome to visit with Gorman’s family on Friday, January 25, 2019 from 4:30-6:30 p.m. at the Portland Church of Christ on Wildcat Drive in Portland, Texas. Following this visitation there will be a brief singing/memorial service. All are welcome to remain and attend this service. In lieu of flowers, memorial contributions may be made to the Taft Public Library, the Sunny Glenn Children’s Home, or a charity of your choice. The Ritchie family would especially like to thank Katy Ihrig for attending to Gorman’s needs during the last 6 years of his life; along with Ginny Winsauer, William Adams, Elda DeLeon, and Delores Castillo. The family also is grateful for the outstanding care given to Gorman (aka Cowboy) by the administration and staff of Mirador in Corpus Christi during his final years. “I have fought the good fight, I have finished the course, I have kept the faith: henceforth there is laid up for me the crown of righteousness, which the Lord, the righteous judge, shall give to me that day; and not to me only, but also to them that have loved his appearing.” II Timothy 4:7-8.